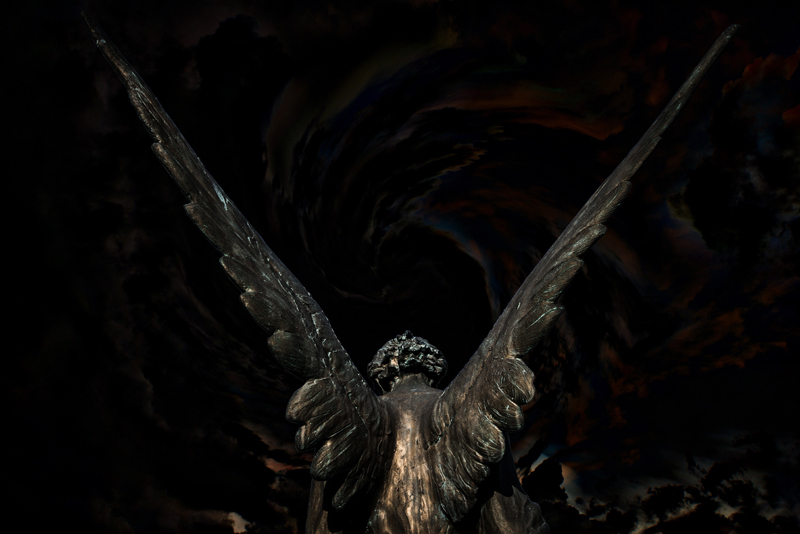 "By the pricking of my thumbs, something wicked this way comes". These famous lines are courtesy of one of the witchy characters from the pen of our buddy, 'ol Willy Shakes and is echoed by our subject du jour. I'm quite sure Macbeth's witch wasn't seeing Tairrie B Murphy's visage in her frothy cauldron but she could just as well have been referring to her. This isn't just a snarky observation. In fact, it's a self-description from one of the pioneering forces in hip-hop. First though, if you're reading this, you're probably --- like me --- a fan of Tairrie B., known as the First Lady of Scream (or "the coldest chick in metal"...depending on who you ask), and know that she is the founder/vocalist of indie powerhouse My Ruin. Tairrie, along with husband and guitarist Mick Murphy, has been at the helm of the metal band since 1999. If you're a casual listener however, what you may not know is that prior to that, she was a trailblazer in another genre, the first white female rapper....at least the first with a major recording contract. Signed by N.W.A. member Eazy-E in 1990, Tairrie released her first record. the groundbreaking The Power of a Woman and recorded a second before abruptly changing gears and moving into the heavy rock spectrum after feeling the power from Ice-T's band Body Count. So back to that aforementioned description. Tairrie likens herself to a witchy figure but in this instance it's an acronym breaking down as Women In The Coven of Hip-hop. For what purpose? Well, after an almost 25-year hiatus in the rap world, Tairrie is back with a new record, Vintage Curses. And the self-proclaimed "Wicked Witch of the West Coast" has definitely not gone all doe-eyed and BET glossy for it. A true individual, ("I shine cuz I’m nobody’s protégé, Write my own rhymes, won’t apologize for what I say") Vintage Curses takes the spirit of Gangsta Rap and gives it a more, dare I say, mature veneer. It's like one of those movies where you see a picture in a photo album and the frame shifts to show the subject in present day --- the same but different. Tairrie comes at you older but wiser ("The hair got blacker, the voice got deeper, I got stronger while they got weaker"). A lot of rap, especially back in the day, was built on boastful pronouncements of accomplishments or threats of violence, obviously more from the male perspective than the female. But with Tairrie's lyrical prowess and talent for word play, it's no surprise that Vintage Curses eschews the themes of blunts, shorties, and nines, despite the DNA of the material (the spirit of N.W.A. and the like). Oh yes, there's name-dropping. But not in the way you would think. There's no industry movers and shakers listed here, laying the path for a future cameo. Anyone who knows Tairrie won't be surprised at the feminist influences mentioned here, namely Sylvia Plath, Virginia Woolf, Bette Davis, Joan of Arc and yes I guess you could even say, Medusa. The music is definitely soaked in an L.A. cologne ("Took an oath to the West Coast And I respect the architects, con safos!") and expletives are used to punctuate lines here and there but a more thoughtful and controlled approach seems to dictate the proceedings, not lessening the spirit of the roots of this music but an honest representation of the state of affairs in the Murphy household in 2015. And 20+ years in the heavy rock medium surely couldn't be ignored when she was writing this record. 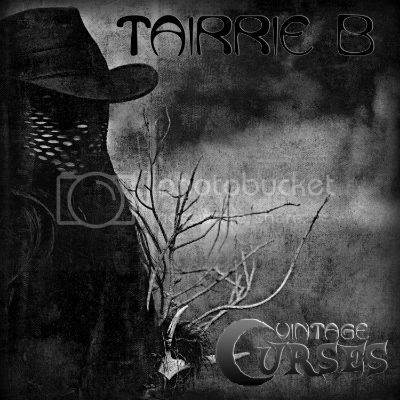 Vintage Curses has a decidedly dark framework that fits Tairrie perfectly. It starts with the artwork which abandons colour, and incorporates spooky trappings that sets the stage before you even press the button. 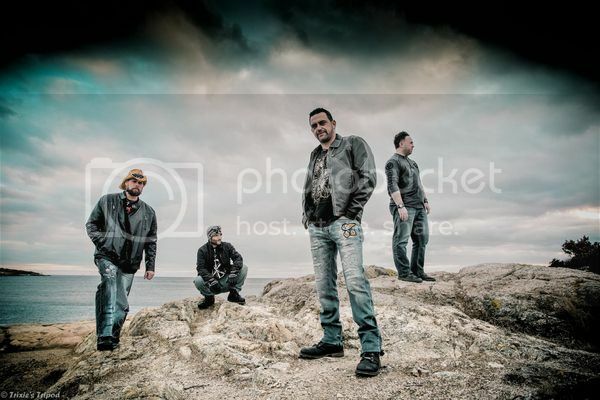 The music also has a rock feel to it in places courtesy of Mick Murphy on drums, guitar and bass and the samples include classic rock staples such as The Eagles, Sugarloaf and David Lee Roth alongside ones by Motown and assorted rap giants. "Beware the Crone" is the first single and a powerful statement to lead with. The word crone, traditionally, has come to mean an old woman with an unsavoury disposition. With this song, Tairrie is taking the other slightly less popular stance that a crone has magical attributes. Lyrically, this is more or less a re-introduction to her return to the rap game and musically it's got a magnetic pull that really takes residence in your ear drums thanks to an instrumental sample from The Temptations', "Papa Was a Rolling Stone". A great --- and unexpected --- chorus with some male voices is the icing on the cake. I was unprepared for the uber cool usage of The Eagle's "Witchy Woman" for "Wicked Witch of the West Coast" but this is one of the standouts of the record. The rock steady beat really drives this one while Tairrie talks about why she felt the need to bust a verse again ("I felt the beckoning and answered the calling"). "BTCHCRVFT"" is the most adventurous track going for a different old-school flow and it cleverly makes a left turn half way through where she hijacks one of her own samples from her first single, "Murder She Wrote" and recreates part of the verse before bringing it up to date. Very nice indeed! If you know "Money Shot" by My Ruin, then "Ad Nauseum" won't be a surprise with Tairrie taking aim at new artists who offer more sizzle than steak. And as always, the unflappable Tairrie B laughs off a critic with the withering line, "Wolves don't lose sleep from opinions of sheep" in "Old School Gospel". Another winner is "Carpe Noctem", marrying verses with Sugarloaf's classic "Green-Eyed Lady" for a marriage made in...well...somewhere. Possibly my favourite song on the record is the closer, "Devil May Care" which pulls in the chorus from the Cliff Richard hit "Devil Woman" into its own clutches. Terrific from beginning to end, the song finishes with Tairrie declaring "I don't worship Satan. He worships me." Priceless! By putting this dark, witchy theme on the record, Tairrie has given the music a unique spin, making it stand out from everything else out there at the moment. With its old-school flavour and dark trappings casting a magical spell on everything it touches, the wicked witch of the west behind Vintage Curses may indeed be scary but also as entertaining as hell.